Fiat Chrysler is set to recall 965,000 vehicles in North America because they do not meet emissions standards set by the Environmental Protection Agency, according to . Nearly 863,000 recalls will be for the US while the remaining 103,000 are for Canada. 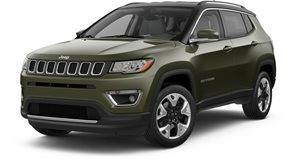 The automaker made the discovery when it conducted its own testing and reported that the following vehicles are noncompliant: 2011-2016 Dodge Journey, 2011-2014 and, 2011-2012, and 2011-2016 Jeep Compass and Patriot. FCA added in the EPA’s announcement that there are "no safety implications. Nor are there any associated fines.” The problem these vehicles are experiencing is the deterioration in the performance of the catalytic converters. These vehicles emit nitrogen oxide pollution above regulatory limits, which are even stricter in California. It should also be noted this voluntary recall has nothing to do with the $800 million settlement the automaker made last January with the US Justice Department and the state of California. That settlement resolved claims FCA used illegal software to produce false diesel emissions test results. You know, like what Volkswagen did. But this latest recall, while still environmentally serious, is being handled properly and legally. 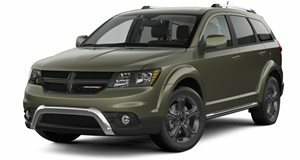 FCA discovered the issue during its own routine testing, notified government authorities, and proceeded with a recall plan. The recall itself will be done in phases this year because of the large number of vehicles now requiring new catalytic converters and that suppliers need to be found.